…when you agree not to exchange Christmas gifts, but still want to get your sweetheart a little holiday present. …when you want to give something small, something practical and something you’ll both be able to enjoy. …when you were pretty similar to begin with, and then you spend every day together for five straight months living in 160 square feet of space. You give each other the exact same gift. This entry was posted in Adventures and tagged holidays, nostalgia, resting, travels by Propane Kitchen. Bookmark the permalink. That is wonderful 😀 I’m sure you’ll both enjoy the read…. What a couple of nerds! Too funny! You don’t have room for 2 copies of the same book- re-gift one! You guys are too funny. I love the photo…. It really epitomizes the beautiful adventure that you two are on and how well you are getting to know each other. Thanks for letting us into your lives through these posts. Ps. I met you at the hot springs outside of Bridgeport, CA near Twin Lakes. We have fond memories of Buckeye Springs. Nice to hear from you! I just checked in today, to see how you two were doing. 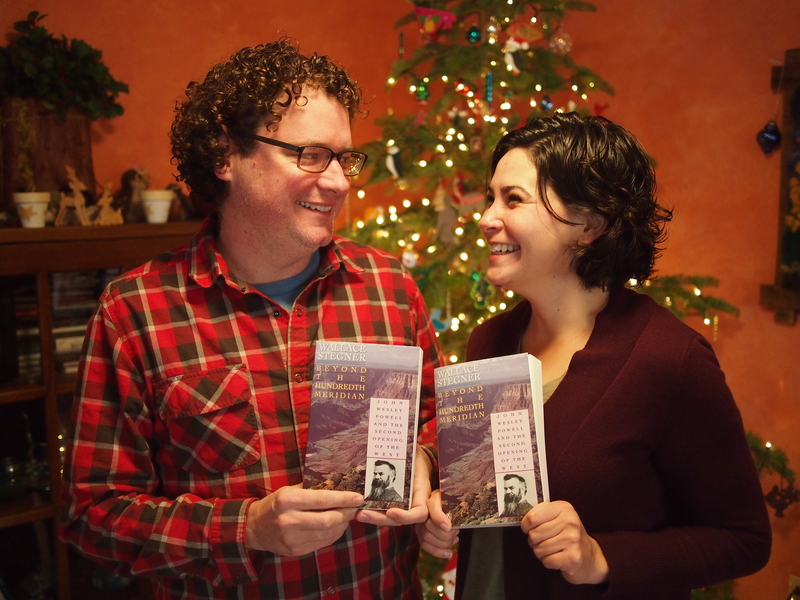 ADORABLE that you bought each other the same book. As a reminder, I’m the lady who wouldn’t stop talking to you while we ate at the counter at that French bistro in Portland. You were early in your trip and I confided that my girlfriend is hell-bent on doing what you two have done: propane-kitchen-around-the-country. Anyway, it’s great to know that you had a ball, have each other, and have this amazing year of memories. Cheers!